Actively engaging children in their daily activities through art, music, language, interactive technology and most importantly, play! Our ECE program is full day with Before & Aftercare available from 7:30am-5:30pm. 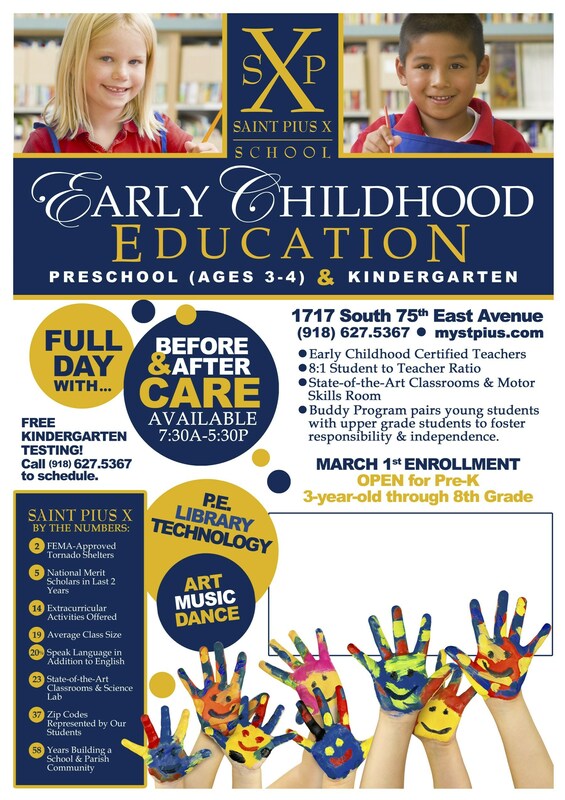 We invite you to come see all that St. Pius X ECE has to offer for your family! For more information or to schedule a tour, contact the Office at 918-627-5367 or click here.